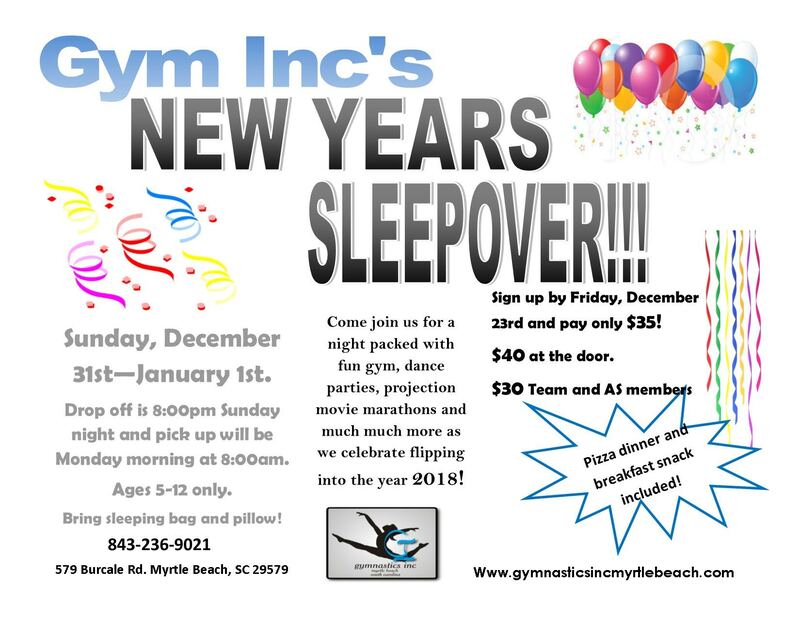 Come join us for a night packed with fun gym, dance parties, projection movie marathons and much much more as we celebrate flipping into the new year 2018! Drop off is at 8:00pm Sunday night and pick up will be Monday morning at 8:00am. Bring a sleeping bag and pillow!